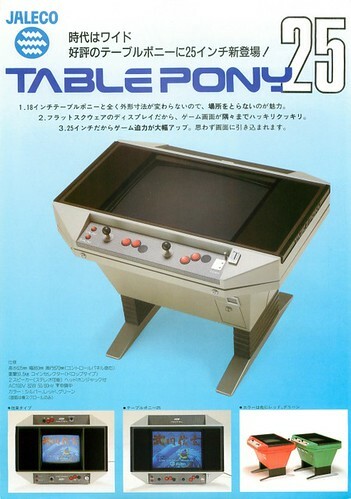 Here is my Sega Aero Table. I have lusted after one of these for a long time. When one finally came up for sale I couldn’t resist, despite space issues! I set off to collect the cab and the hired van broke down after about 10 miles, not the best start. The next day I tried again with a new van. It was an epic nine hour round trip, but well worth it! The cabinet has been totally refurbished by a previous owner and the shell powder coated. The cabinet is extremely solid and well built. The monitor is a MS8-26SE with no noticeable burn. 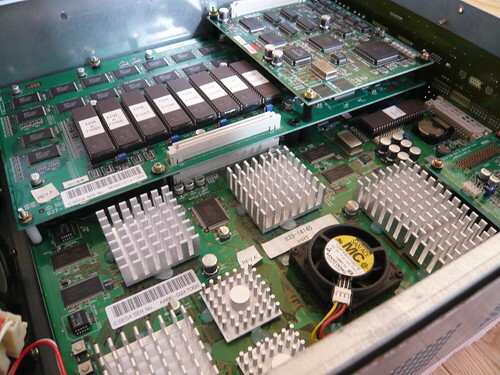 Monitor adjustment is carried out on the chassis – no remote board here! The monitor can be tated. 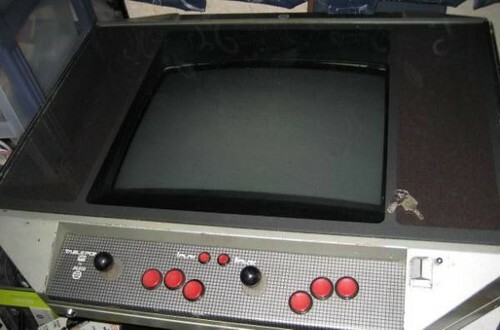 Interestingly the monitor frame is different to that of an Aero City, being more square shape. 1. The metal side art decals are in poor condition – fabricate a new set. 2. Find the elusive speaker pod and marquee holder. For some reason quite a few of these cabinets are missing them. 3. 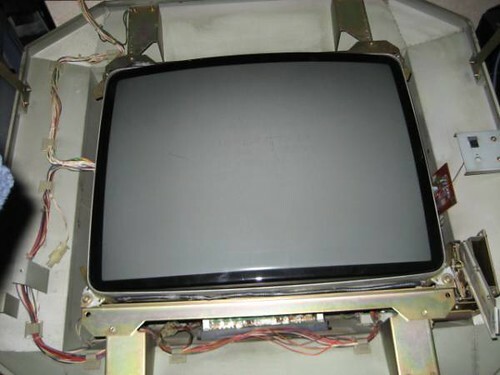 Lightly clean monitor tube and chassis with an air duster and anti-static brush. I’m planning on using this as a horizontal cab for my older classics and horizontal Cave shooters. 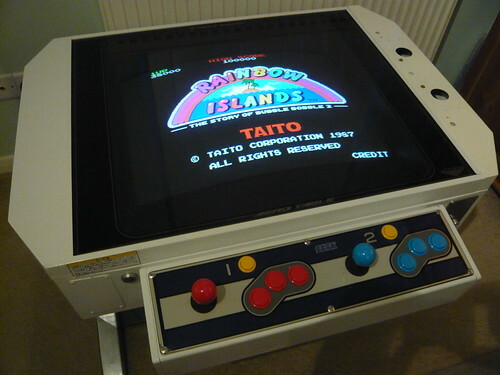 I currently have PVG Tech/Hanaho Taito Gameroom Classics multi-game PCB installed in the cab. 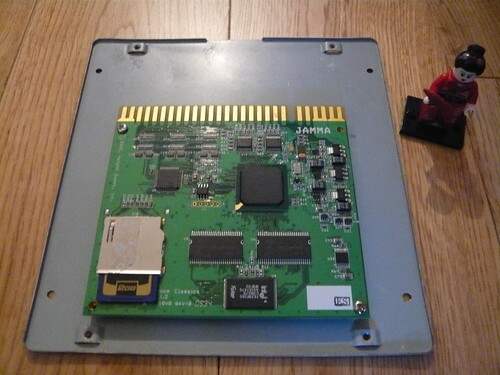 The board came with a 20 game SD card, and includes some of my all time favourites including Bubble Bobble, Rainbow Islands and The Newzealand Story. The small compact size of the board is perfect for this cab as PCB space is pretty tight. Many thanks once again to AeroCityMayor / Ralph for the cab and for letting me have a few credits in his awesome games room. I had been desperate to play Planet Harriers ever since I saw the first screen shots in Edge magazine back in 2000. 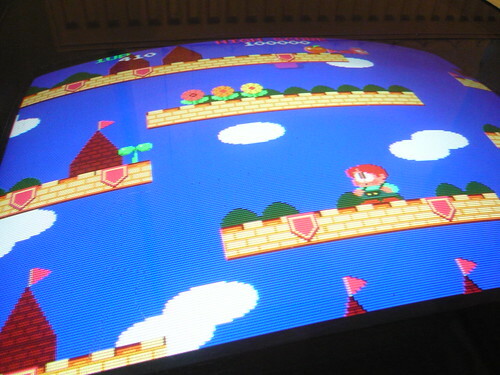 Running on Sega’s Hikaru board, the game looked stunning and had that classic bright, happy Sega look. 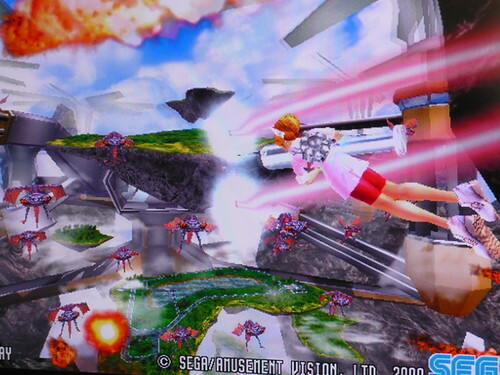 I loved that it was an update and pseudo sequel to one of Sega’s greatest arcade games, Space Harrier. I had never come across the game in any UK or Japanese arcade. 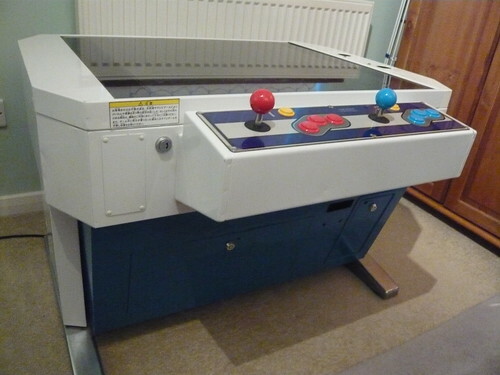 Almost all Sega dedicated cabs had a UK release, and whenever I visited a new seaside town I’d check out the arcades, hoping to find Planet Harriers. The rumoured home release for the Dreamcast and then the Gamecube failed to materialise. My desperation to play it, coupled with the game’s elusiveness gave it a near mythical status! 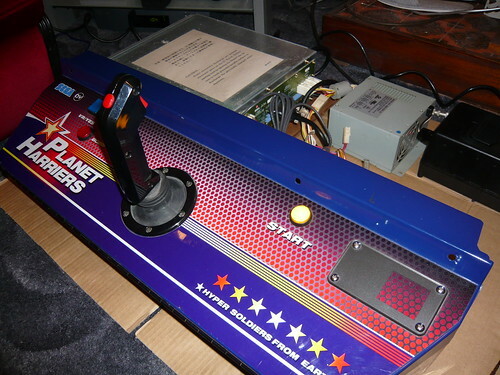 In 2009 I bought the arcade PCB along with the cabinet control panel and had it shipped from America. 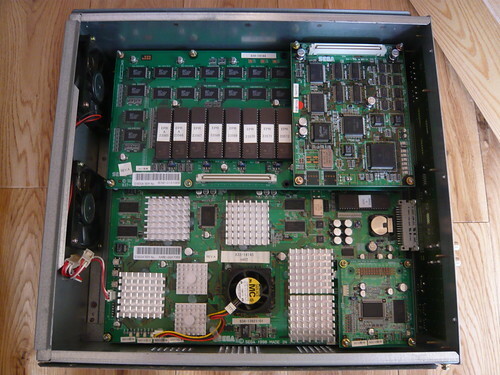 The seller removed the Hikaru board from the metal cage and shipped the items separately. The board is extremely fragile and if left in the cage there is a high chance of damage in transit. 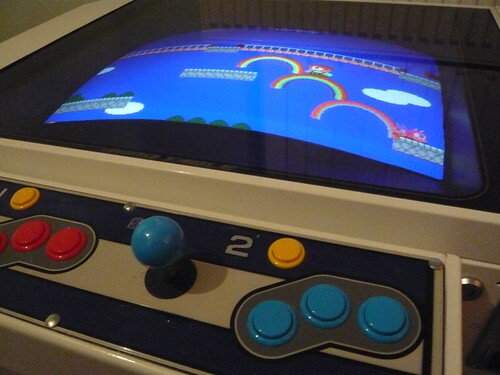 With the help of Giz10p, Arcade Otaku and Shmups forums, I pieced together the Hikaru board, control panel, I/O board and power supply and connected it up to an LCD television. It was a massive relief to see the game up and running. 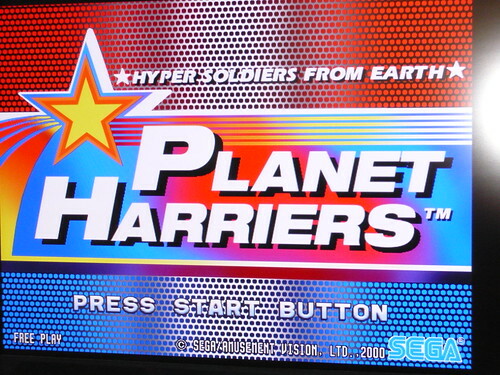 I was finally able to play Planet Harriers!